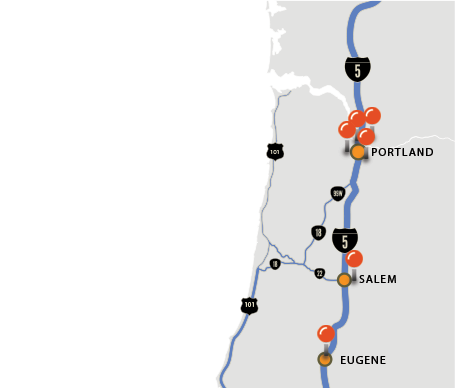 With locations in Oregon and Washington, Knez is happy to supply any of your insulation, drywall, or FRP panel projects. We provide Delivery and Material Handling Services to your doorstep. Need to get drywall insulation or building materials into some hard-to-get-to places? Let us help. We are suppliers of Owens Corning, Roxul, Knauf and Certainteed. From Spray Foam Insulation to all types of insulation materials, come see us for all your insulation needs. We are the Northwest's leading supplier of drywall, FRP Panels and drywall supplies. Give us a call and we are happy to quote your project. 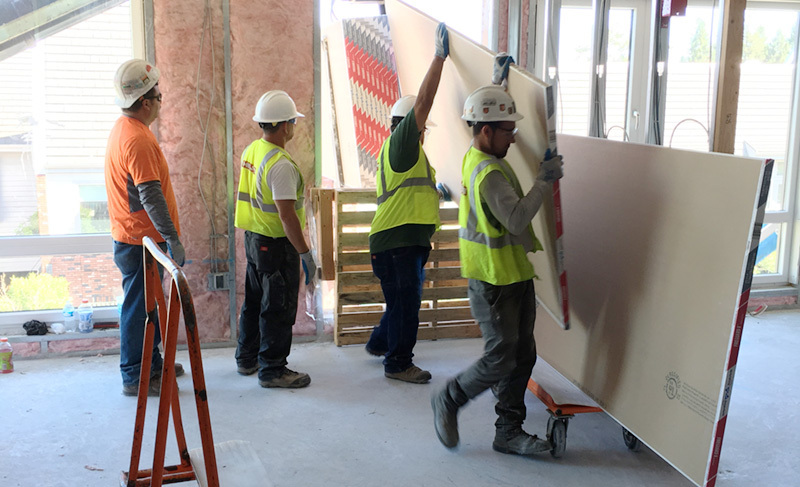 Whether you're building for LEED Construction, or just trying to be environmental, Knez offers drywall recycling and other material handling services. At Knez Building Materials Co., we tend to have somewhat of an old-school mentality, and maybe that's what sets us apart. We help each other out, and we believe in honest, hard work and doing the best that you can for the people you work with. Since the beginning, we have been a local, family-run business, and we've stayed true to our roots and our core values in excellent service and hard work have never wavered. long after the thrill of a cheap price is forgotten. Knez's success can be attributed to a family that has stuck together and believes in everyone doing their part. From the beginning, John Knez Sr. created a sense of togetherness that has allowed the company to expand far beyond what it once was. What started as a small company with only five flatbed trucks and a handful of employees has grown to a company of over 150 dedicated and loyal employees that are all considered family, operating out of 6 locations, and running 50 trucks on a daily basis to serve our ever-growing and much appreciated customers. Although we've grown substantially since John Knez Sr. bought the company, we still think of ourselves as "the little guys.” Today, Knez Building Materials is your premier provider of insulation, drywall, FRP panels, metal framing and more in the Portland area. Aside from central eastside location, you can now find us in Clackamas, Eugene, Salem, Tigard, and even up in Vancouver, Washington. What was once the view of one man is still the goal of the company today--the key to success is to get along and help each other out, to get the job done, and to do it with a sense of pride. With this in mind, the Knez family will continue with our mission of becoming not just the biggest, but the best drywall supplier in the Pacific Northwest. 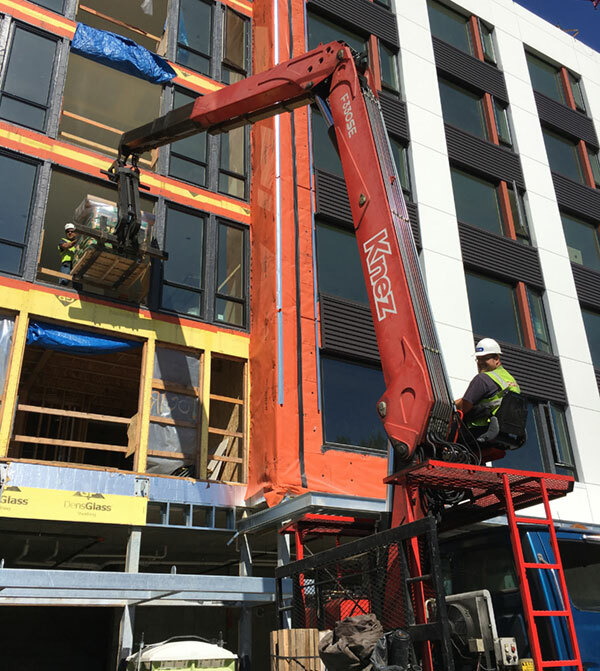 We've provided building materials and services for hundreds of clients for projects across Oregon and Washington. When you need resources you can trust, contact our location nearest to you.